Site Dedicated to Exploration of Previously Untranslated Ritual Manuscripts – Zero Equals Two! 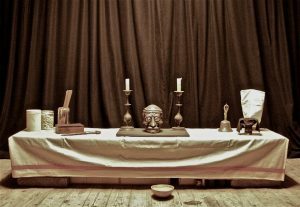 “The Holy Daimon project is dedicated to the exploration of authentic, previously untranslated ritual manuscripts from the 15th to 18th century. The focus lies in particular on texts of daimonic theurgy. These are forms of magic which aim to create communion between the practitioner and a personally assigned spiritual entity that might be best, i.e. most neutrally, described as their holy daimon. “The many diverse forms of ritualised contact to this being represent a long and important strand of magical tradition in the West. Today most famously it is remembered by the ‘Book Abramelin’ (Das Buch der wahren Praktik in der uralten Goettlichen Magie) purportedly written by one German Abraham of Worms in the late 14th century, yet dated to 1608 by Carlos Gilly. The true origin and author of the book remain unknown until today. 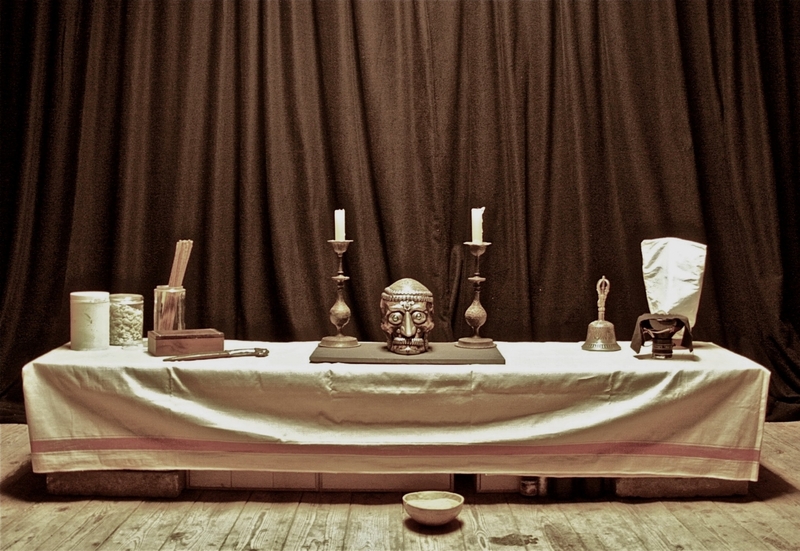 For a long time the fascination of modern Western practitioners with the Book Abramelin, however, has held back a broader exploration, review and discussion of other manuscripts of daimonic theurgy from the late Middle Ages onwards. “The ‘Holy Daimon’ project presents a slowly expanding body of authentic magical manuscripts from the 15th to 18th century dedicated to this particular kind of magic. All texts have been transcribed from the original German & Latin manuscripts into digital typeset and subsequently translated into English. The German transcription is intended to be as close to the original as possible. The English translation, however, aims to make the texts more accessible to modern day readers and has thus been gently adapted and annotated: abbreviations have been spelled out in full, omissions have been corrected, originally Latin sections or expressions have been translated into English and references to people or literary sources have been indicated as such in sharp brackets [ ]. “Most manuscripts are shared in two versions: (1) a side-by-side view of the original manuscript, the German transcription as well as the English translation, as well as (2) an English continuous-text version for easier reading. The significant amount of work required to provide access to these critical source-texts was made possible through both volunteer work as well as private funding. “In addition to broadening access to these original magical manuscripts, this page also provides an continuously expanding body of research into the content and historic context of these manuscript. In particular the important 15th century figure of Pelagius Eremita, the Majorcan Hermit as well as his transmitter (or more likely inventor) the German abbot Johannes Trithemius will be explored in detail in the related research sections.